On Top of the World, right on the Edge of the Sea! 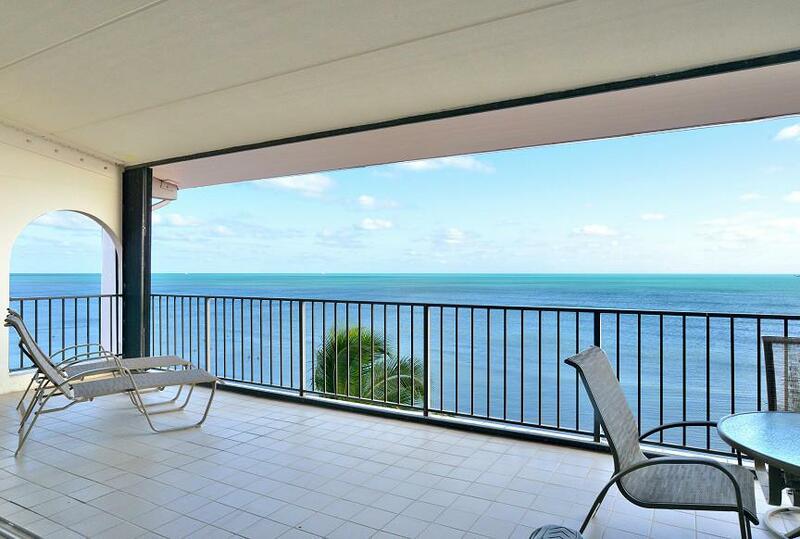 This penthouse end unit at the Key West Beach Club wins Pride of Place, with wraparound views of the Atlantic Ocean that are stunning ... no one above you, no structures anywhere blocking the long and gorgeous view down the shore. 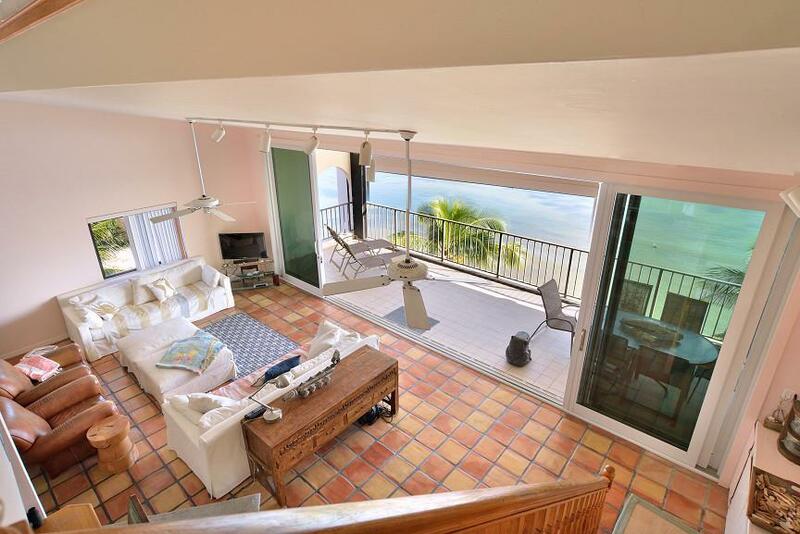 Two levels, vaulted ceilings, floor to ceiling impact windows along the full length of the 345 sq. 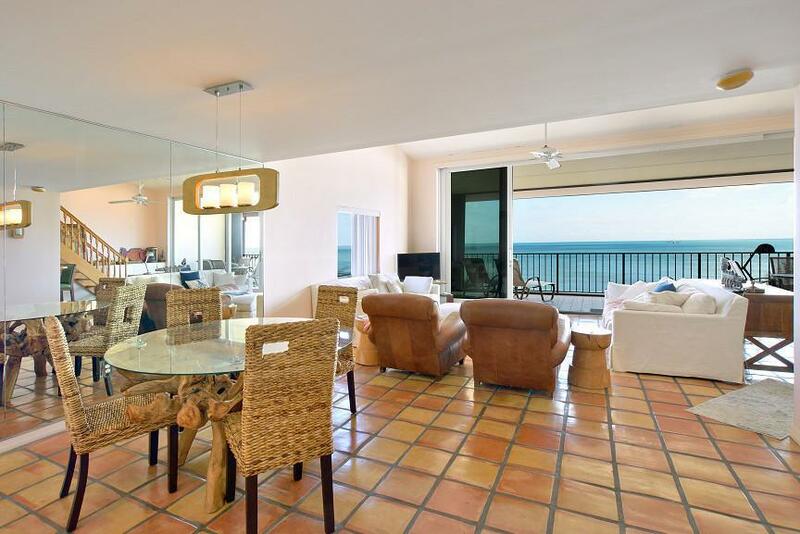 ft. oceanfront balcony; this three bedroom, two bath condominium has been reconfigured to open up the living room, dining room and entertainment bar area, still leaving two bedrooms and a full bath downstairs, with a 500 sq. ft. loft bedroom and bath suite upstairs. 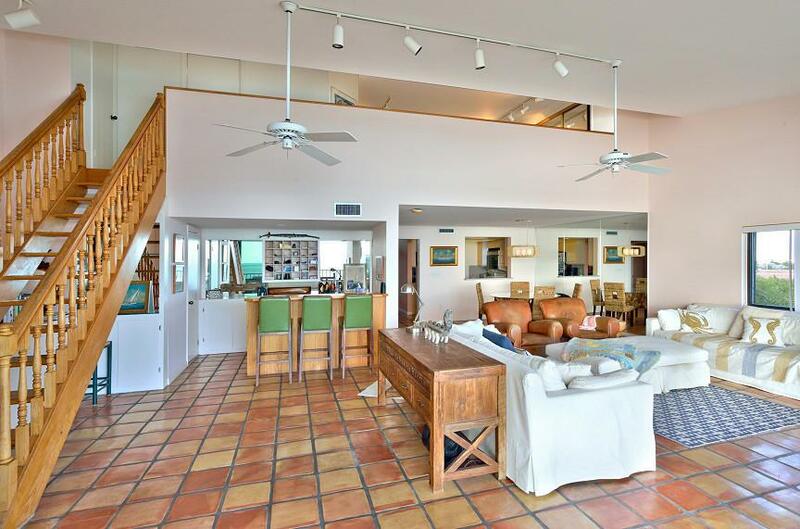 Plus all of the amenities for which the Key West Beach Club is so well known. Must see! Easy to show!